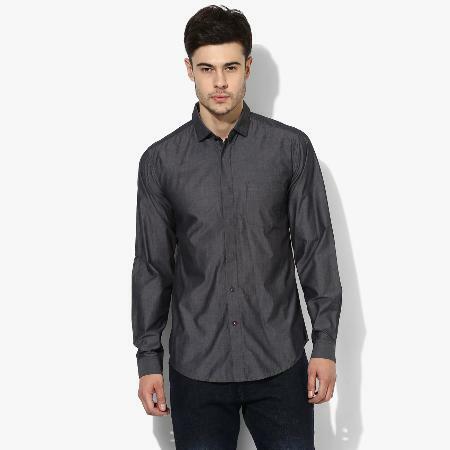 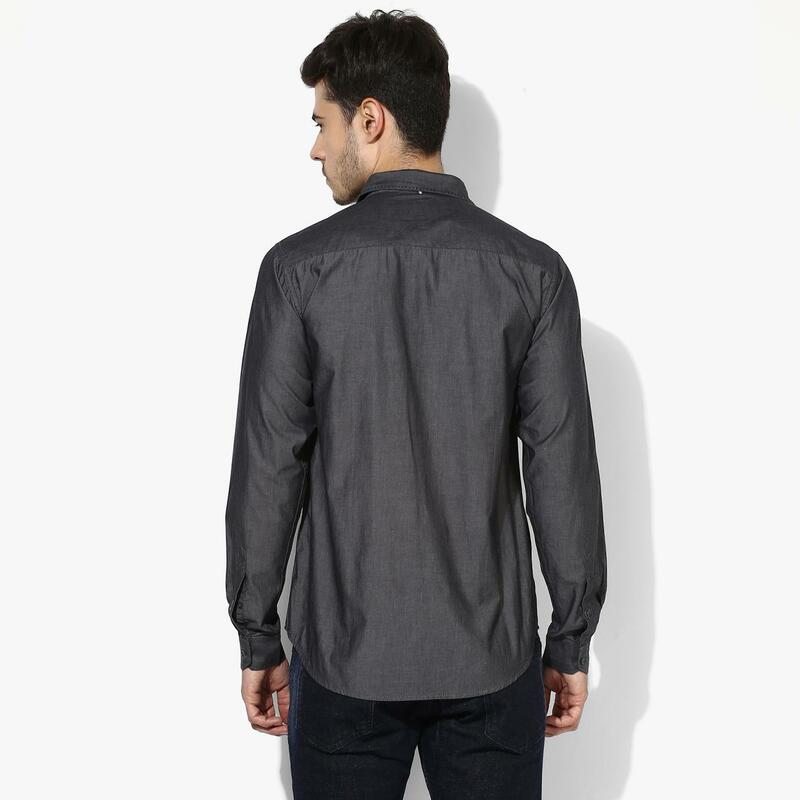 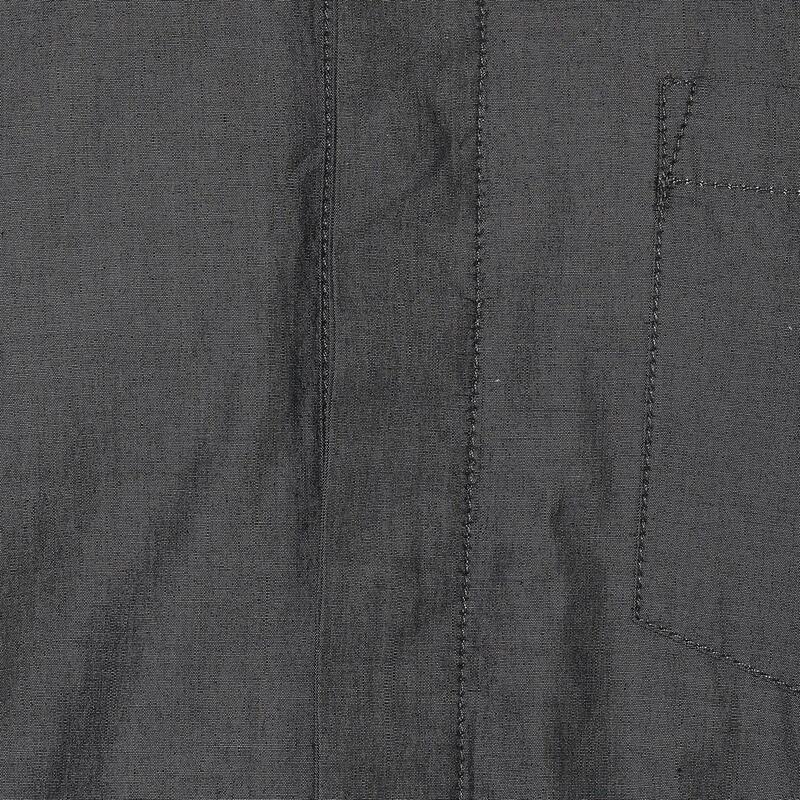 An on-trend pick is this dark grey shirt for men by Red Chief. 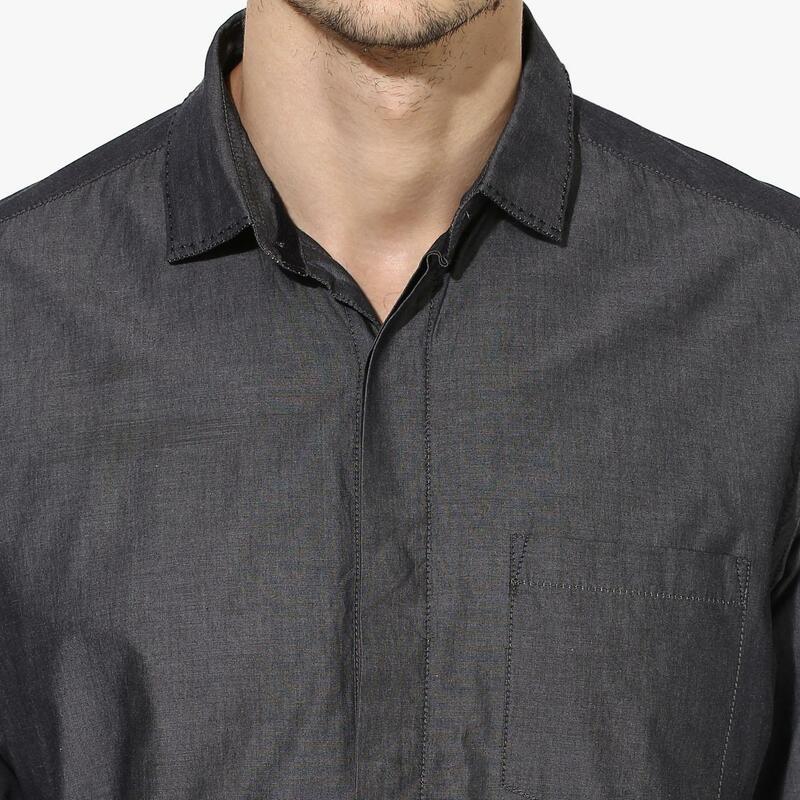 Offering regular fit, this 100% cotton shirt is styled with full sleeves, chest pocket and hidden placket, thus make it a sure shot buy this season. 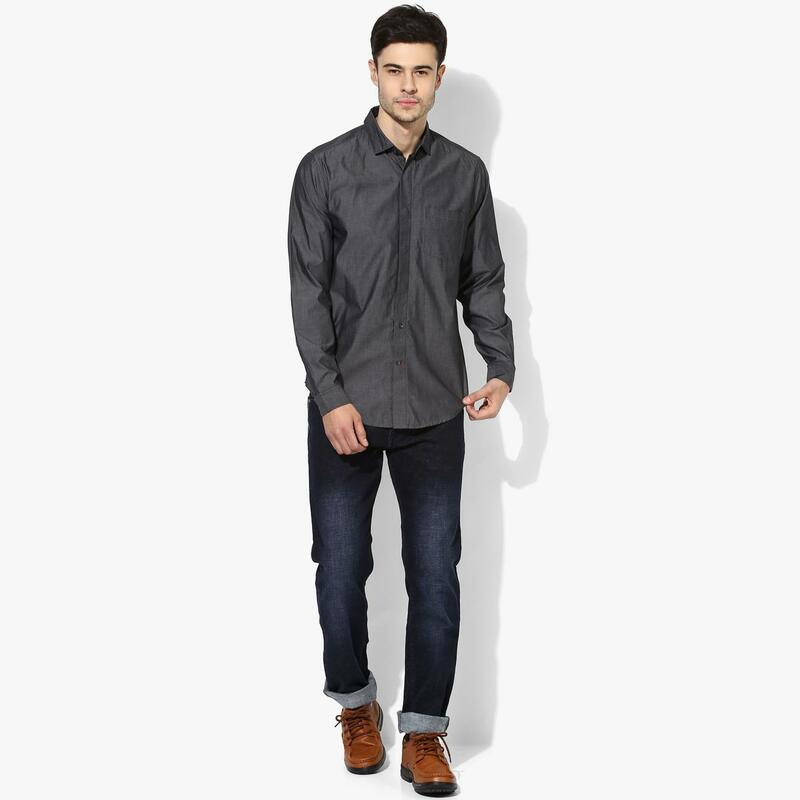 Let your casual style come to a full circle by pairing it with a pair of black jeans and leather shoes.